We’ve had some really great premium themes and templates come in on MOJO-Themes lately. Here are some of our favorites from the past week or so in our MOJO New Item Round Up. It’s quality stuff, so prepare yourself. Propel WordPress Theme – is a theme that can be used for many types of websites, especially portfolios and blogs.It is fully responsive and will display nicely on ANY screen size or device! It features parallax scroll effects, CSS3 fade-in effects, unlimited color options, Twitter widget and a working Ajax form. 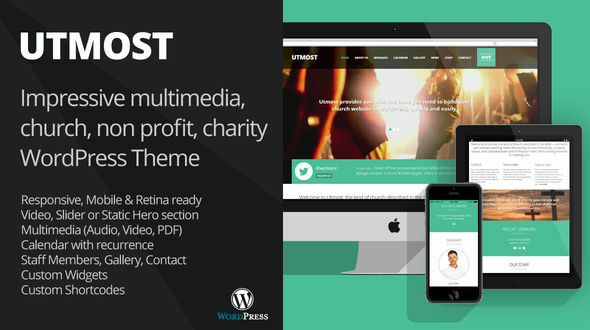 Utmost WordPress Theme – is a beautiful theme with a mobile-friendly design. It has unlimited sidebars for widgets, message archive, photo and video gallery, calendar, news and a contact page. Utmost is retina-ready and customize your fonts, and color. All this can be done quickly from the WordPress dashboard. It works perfectly for any non profit or company website that needs to publish audio, video and promote events. MyBlog WordPress Theme – is a simple but powerful WordPress theme. It can be configured to focus on your photos, videos, audio, blogging, etc. MyBlog is powered by the Redux Options Panel, which provides many options to manage and modify any aspect of the theme – it is well suited for both beginners with no coding knowledge and developers. 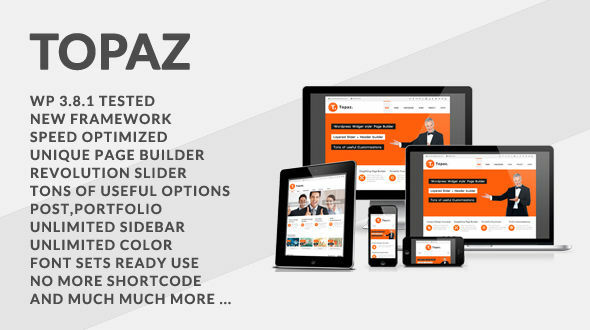 Topaz WordPress Theme – is an awesome multi-purpose theme designed for events display, work showcase, display services, portfolio, business and corporate websites. It has unique features such as slideshow using Layer Slider, drag and drop page builder, 2 homepage styles, stylish single portfolio page, ability to showcase upcoming events in sidebar. Topaz also has unlimited color styles, advanced theme option panel, installation guide with support and much more. 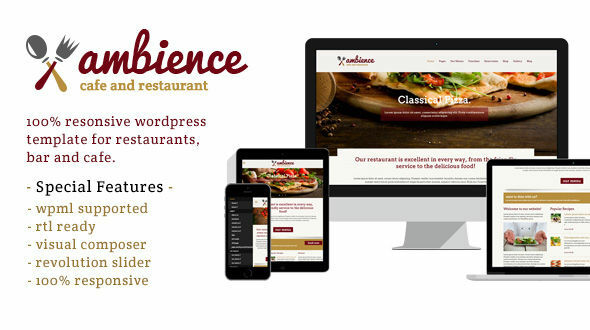 Ambience WordPress Theme – is a fully responsive modern theme perfect for restaurants, cafes and bars. You can set reservations for your customers, fully customize the website to suit your needs, and without the need to code any CSS or HTML, you’ll ready serve your customers! Ambience comes with the Revolution Slier which is a fully responsive slider, as well as Visual Composer. 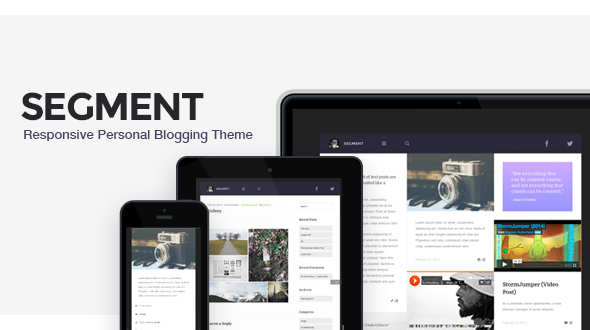 Segment WordPress Theme – is a modern masonry personal blog with a minimal style. The theme is perfect for bloggers, photographers and more. It’s responsive the theme will adapt to screen sizes on your devices including smart phones, tablets or desktop computers so you never need to worry about what your website looks like on your devices. Segment supports custom logos and background images and colors. 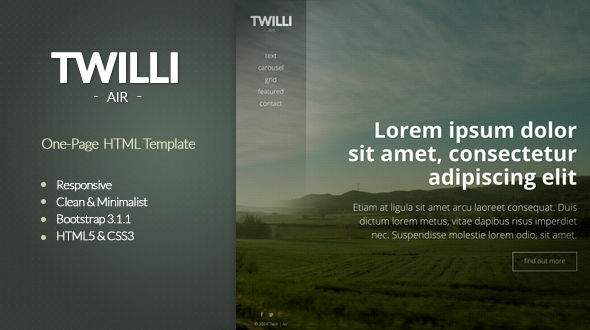 TWILLI Air Website Template – is a fully responsive minimalist one-page HTML template. It features a clean and fresh design, and is intended for websites with concise content. TWILLI Air has a full page background image, alternative section content types using Bootstrap Framework, has elegant pop-ups and organized, well-documented source code. 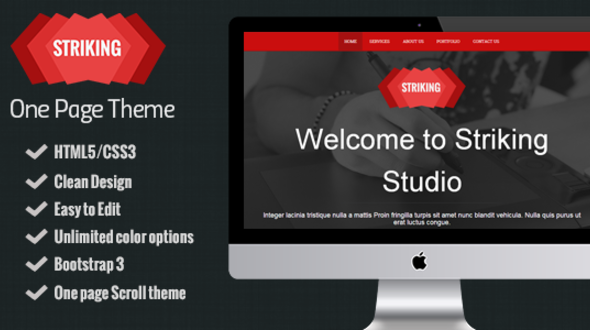 Striking Website Template – is a fully responsive and single page portfolio template. It offers stunning design, really great compatibility and built on the latest version of Bootstrap. Striking can be used for creative digital agencies to show portfolio and selling services. It has a one-page scroll design, Font Awesome icons, cool animations, unlimited colors and it’s highly customizable. 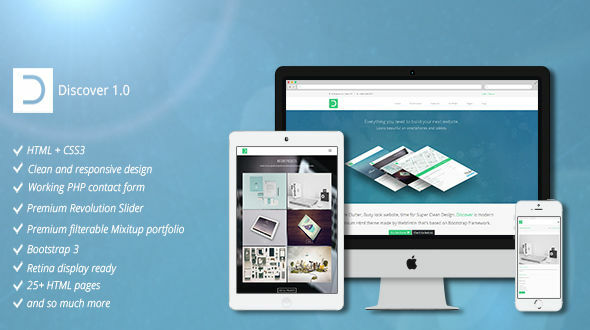 Discover Website Template – is a responsive HTML5, simple, clean and professional template. It comes with unique pages, awesome slideshows, many color variations. Discover is suitable for businesses, creative sites and portfolios. Customize your website as much as you want, you have tons of layout possibilities with unlimited variations and colors. It also comes with 25+ HTML pages built using Bootstrap 3. Check out more of our Premium Website Templates on MOJO-Themes.com. Did you like what you saw with all of the great themes and templates in this New Item Round Up? Come see what else MOJO has to offer.